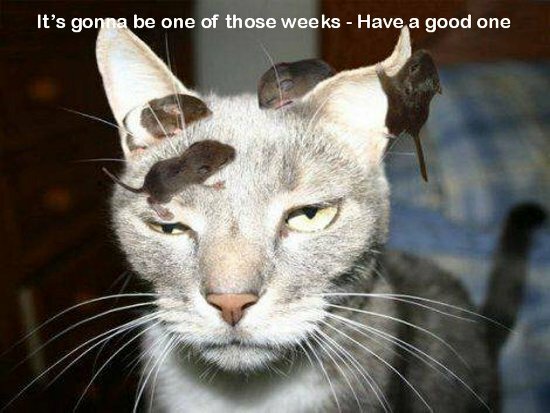 Our week was better than this guy's. Joyous salutations, Sega-addicts. It’s time for this week’s Forum News. That means it’s time for my obligatory “join the forums” bit. So yeah, join them! Once you’ve done that, or if you’re already a member, hit the more button and read on. This week was another fun one, as the title suggests, so don’t miss out! Well, I’ll give us 3.5/5 on this one. We definitely achieved challenges 1, 2 and 5, we didn’t get number 3, and number 4 is the one that’s in the middle. There were no backgrounds posted, but there was a free photo editing software recommendation posted that will make it easier to create backgrounds. I feel like we didn’t get the 3rd challenge because the way it’s written is too esoteric. 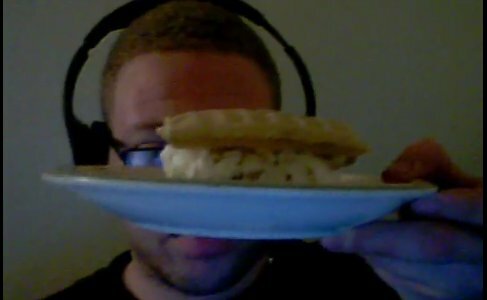 Double down dessert is basically just ice cream between two waffles – a waffle ice cream sandwich. I’m extending this challenge because it’s delicious. Come on, it's waffles AND ice cream! The Music/Movies/Books/Comics/Stuff section saw a most peculiar thread this week. Do you know what Powerline is? Powerline! POWERLINE! Powerline. This is probably the most hilarious thread this week. Mostly because I only vaguely understand what’s going on. Elsewhere in this section we discussed Piranhas 3D in an X-rated fashion. Basically, it was a good week. This week’s podcast thread was recently put up, so get in there and be the first one of your friends to talk about Episode 28. You can also tell us how you feel about Francis P. Tassium. I think if we make Topher use his radio voice more we can defeat Francis, but that seems like a lot of work. You can also talk about Matt Jay’s new thing Iteration Altercation, where he tries to answer “could the Genesis really do what Nintend’idnt”? He’ll probably also do cross-platform games on systems other than the Genesis/SNES, but the Playstation is hard to make puns about. 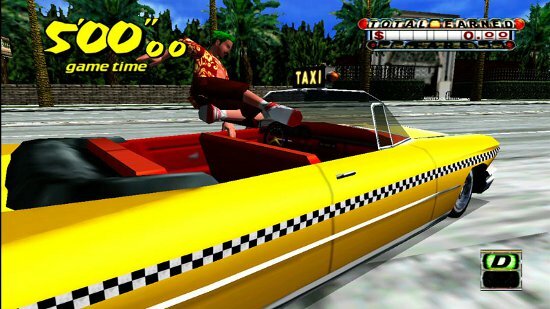 Speaking of games, with the announcement of the upcoming release of Crazy Taxi on PSN, we started discussing, you guessed it, Crazy Taxi. The thread is about the series as a whole, so feel free to discuss any of the games in the series. For non-Sega games we discussed the PSP. Have any good PSP games you want to recommend? Now is the time to do it. That's crrrrazzzyyyy! It's hard to emulate voices with text. This week the Bar was, well, it was the Bar. We started off with the Kool-aid stuff from last week, a new challenger approached, then Stevie made some art, then things got hot! No seriously, it was very warm where Manic Maverick was and it made him uncomfortable. We also discussed the merits of staying up excessively late at night. On a slightly related note, when I first started working at Sega-addicts I was working midnights at my job. That really sucked, so do better than me and post your late night adventures right now! The rest of the action in the forums took place in threads that have been around for a long time like the rate the last movie you saw thread and the bitchin’ deals thread. It seems like our little forum is developing some threads which are going to be around and popular for a long time, so I think it might be worth my while to update everyone on the progress of them like I do with the Bar. Tell me how you feel about that in the official Forum News thread, or in the comments. Someone post a picture with the Double Down Dessert. Post a new thread in the Bananas and Pepsi Max section. Someone provide any writer feedback on a feature this week. Keep some classic threads going for me to talk about. Everyone have a good time. See, that’s really easy. The 5th one seems like it’s free, but I’m not giving it to us if there’s any obvious unhappiness like flaming or fighting in the forums, so treat each other well. See you in the forums. Forum News: Update your bookmarks! Forget Pepsi Max, I want to talk about the beloved but forgotten relic that is Crystal Pepsi. Is Crystal Pepsi the clear see through it? Yeah, caffeine free too, I believe. It was like a Pepsi in Sprite clothing.